What I missed here is pickle and Appalams, the plate was full :( so couldn't find space. This Lunch menu covers all items and makes a wholesome meal. If you are cooking this menu for guests instead of Vazhaipoo paruppu usili you can choose Cabbage parupu usili also add a payasam to this menu. Since Vazhaipoo is bitter in taste it was not served to guests who visit our house. 1) For vendakkai mor kuzhambu, check enough curd is available the day before itself. When you cook toor dal for Rasam (which I usually keep in a separate bowl above rice to save time) keep little extra. Take out the extra toor dal, mix salt and keep it separately. 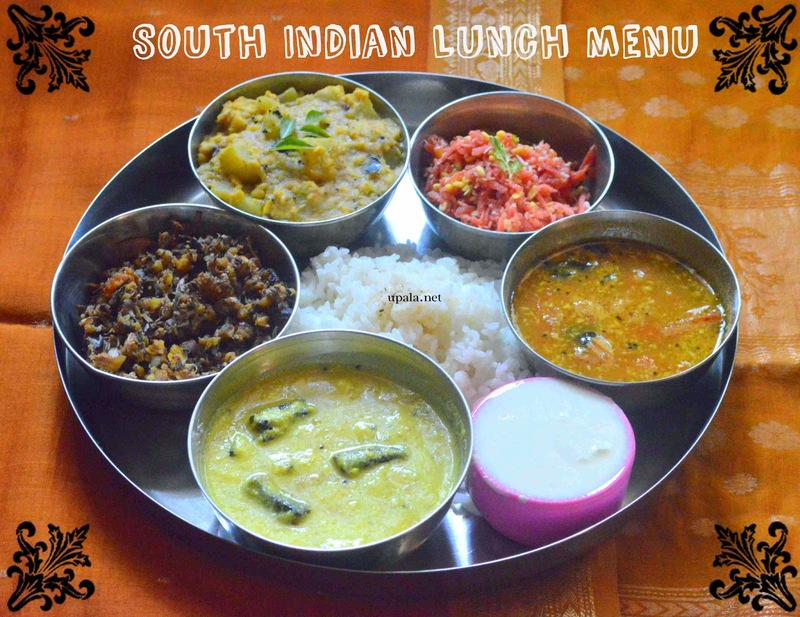 Generally, before serving Morkuzhambu a tbsp of cooked salted toor dal is served for Rice. 2) First thing that you can do is soaking dals for paruppu usili, soak little extra and take few for morkuzhambu to grind. If you want to save soaking time, soak them in hot water. 3) You can grind in this order 1) For Rasam, 2) Kootu, 3) Morkuzhambu 4) Paruppu usili so that you can finish off with same jar, don't need to wash the jar in-between or use many jars. 4) Cleaning the Vazhaipoo is a big process, you can do that process the day before. Click here to know how to clean and cut vazhaipoo. 5) Carrot kosambari is easy to make but one important thing is soaking moong dal. Soak it well ahead or if you want to save time soak in hot or warm water. 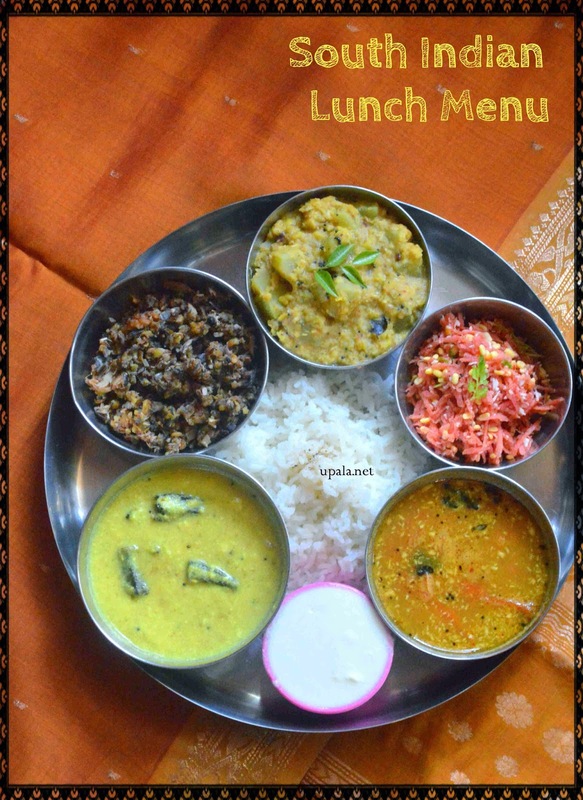 6) If you are preparing this Lunch menu its better to keep light breakfast because you may miss to taste all. This work by Aravind is licensed under a Creative Commons Attribution 3.0 Unported License.